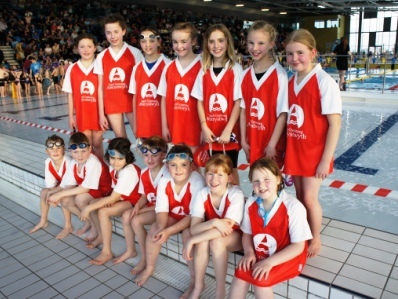 Congratulations to all pupils who travelled down to Cardiff over the last weekend in January to participate in the National Swimming Gala Finals following their success in the Ceredigion round. Thanks also to the parents for their support as always, and to the Urdd for organising another superb event! » Congratulations to the girls for competing so well in this year's Urdd gymnastics competition. The four competed in the pairs, with Elinor and Carys succeeding to win the silver medal in a competition of very high standard. As part of the Prom regeneration project, Eurig came to work with a few of the Year 6 pupils for inspiration (and some help!) with writing poetry which will later be introduced to the designers of the prom. SANTES DWYNWEN CARDS ON SALE! » Pupils at the school have been extremely busy designing and making Santes Dwynwen cards to celebrate St. Dwynwen's Day on January 25th. The cards are available to buy form the school on a stall which will be set-up every morning by the Main Reception. Each card is on sale for 50p each - what a bargain! » Congratulations to the school's netball team on competing and playing well in the Aberystwyth area Urdd Netball competition. » Mr Williams, Mr Jones and members of one of the school's hockey teams receive a new kit from Mr Martin Atkinson, Representative for Emo Oil. The school is very grateful to Emo Oil for their generosity and the pupils can't wait to play their next match wearing the new kit!